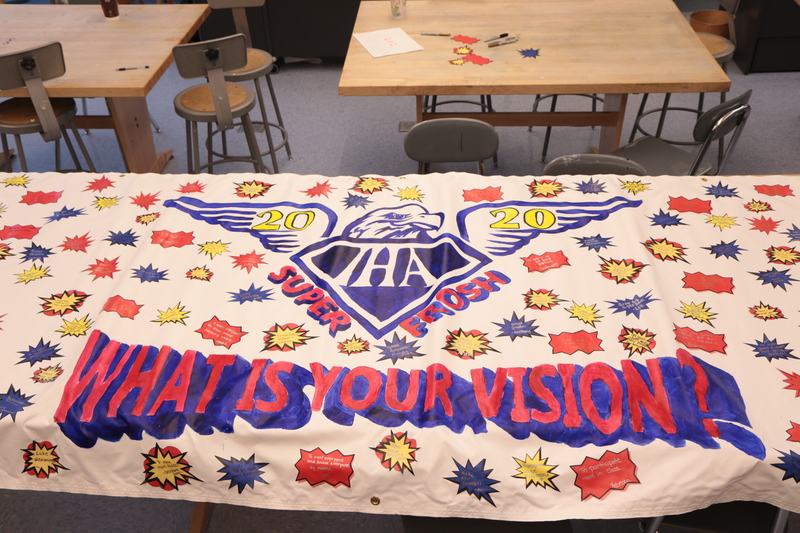 October 19th was a great day for IHA’s freshmen class of 2020. While sophomores and juniors took the PSAT, the freshmen got to enjoy a fun filled Freshman Spirit Day. The theme of Freshman Spirit Day was Superheroes & Villains. The costumes ranged from Batgirl to Spiderman to characters from the Avengers. 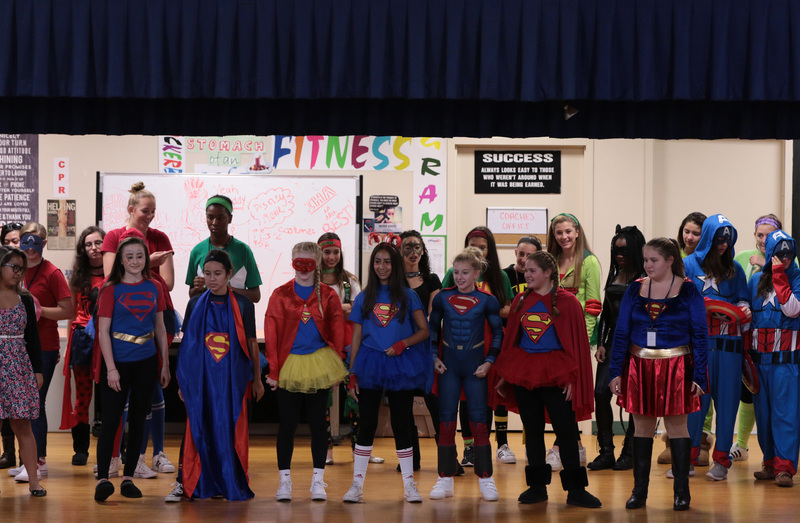 Girls were divided into teams depending on homeroom, and each homeroom was assigned a certain category of superhero or villain on which to base their costumes. All the girls really put effort into creating great costumes and had fun coordinating with their classmates! Following a delicious breakfast, the day began with the election of the freshman class officers. This election was a great opportunity for the girls to take a leadership position amongst their classmates and hopefully make their freshman year at IHA unforgettable. Candidates gave wonderful speeches before the elections, and resulted in the appointment of Sydney Moore’20 as president of the freshman class, Angeline Jacob’20 as vice president, Gabrielle Lasala’20 as secretary, and Nicole Gysin’20 as treasurer. Following this election, students began their first of the day’s many activities by going online and designing t-shirts to be considered as class shirts. In the Gym, the freshman learned The Alma Mater, a song that will remain in students’ hearts forever. Each team selected five people to represent them and sing in front of the entire grade. The enthusiasm was amazing, and all the teams did an outstanding job. For the skit contest, teams were given thirty minutes to rehearse their skits in the gymnasium. All of the skits were a great success and were the cause of a lot of laughter. The freshman class’ different personalities really came to light during this activity. 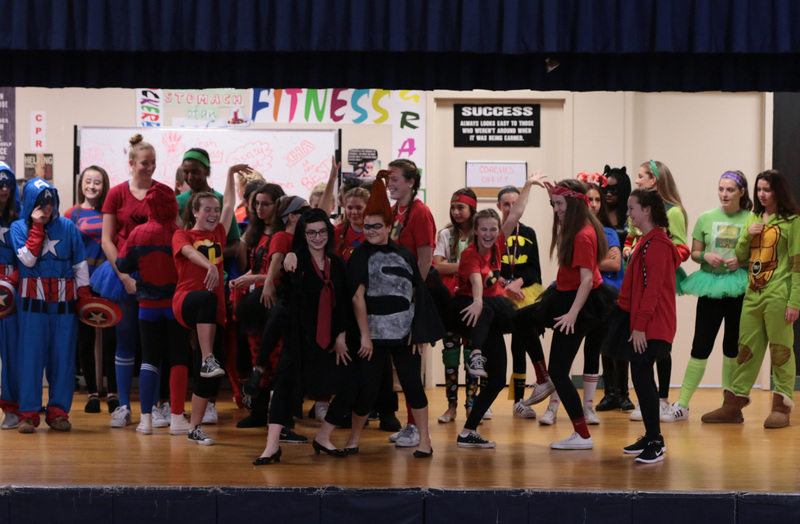 The skits were about a variety of topics ranging from locker break muffins and great family reunions, to superheroes saving the day. One of the most exciting events of the spirit day was the costume contest. Students went on stage and modeled the costumes they based on their team theme. Many girls showed off incredible costumes, and the competition was very close. The freshmen were also put to a test on how much they know about IHA after just a month and a half in an intense game of IHA Trivia. Luckily for the freshmen, Sophomore Spirit Day is just around the corner and is another exciting opportunity for the girls to bond with their classmates and have fun!